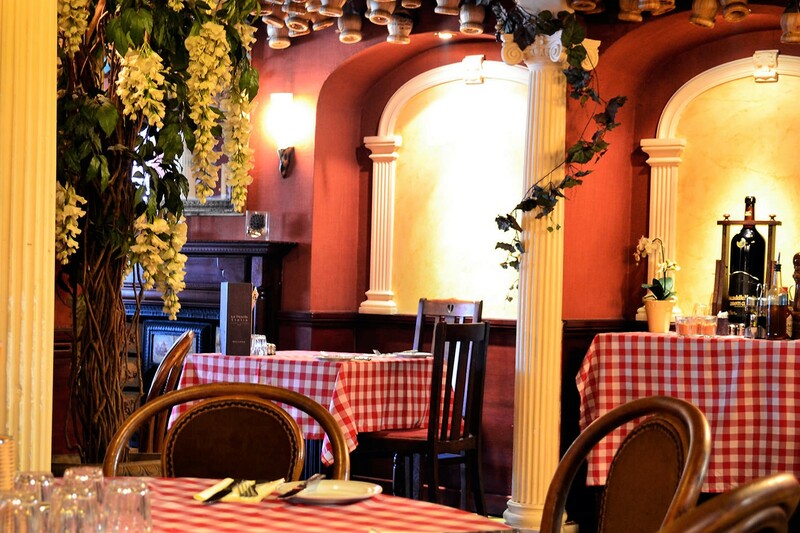 La Piccola Italia is one of Bournemouth’s longest established restaurants. We first opened our doors on a hot afternoon in May 1981 with the simple idea of serving authentic Italian dishes using the finest ingredients. Over the last 33 years we’ve made a few changes, seen a few people come and go, but we still remain focused on our opening ideals. 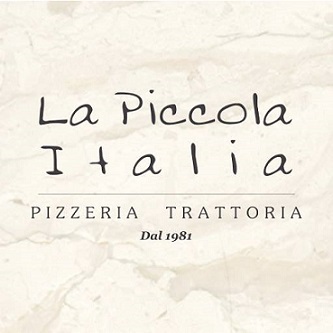 Still run by the original owner and his family, La Piccola Italia is the perfect choice for an intimate dinner, special celebration with friends and family or just a quick lunch. Absolutely great find of a place, lovely food, great staff and we weren't rushed at all, the only reason I gave 4 stars for service is we had to ask twice for the dessert menu, it was busy and we will definitely coming again as we visit Bournemouth often. Two pizza were slightly burnt. We booked dinner for around 20 people who were taking part in a conference at Bournemouth University the following day and were given two tables in the back room, which gave us privacy and the ability to move around to talk to different people. The food was very good and the staff coped well with our very varied orders, dietary preferences and our each paying separately at the end! We'd definitely recommend it for the food, the friendly staff and the general atmosphere. As always, very friendly service and delicious food. We’ve been coming back for years! Lovely helpful staff and gorgeous food - what more could you ask for? Nice decor and very good pizzas. Squid starter was disappointing. A few thin squid rings with more salad garnish than squid. Service was attentive but a lot awkward. Maybe slight hesitation due to language barrier. Bur friendly and helpful. Great service and value for money. We went for the bottomless brunch and will be coming back again! Always go here when we visit bmouth, lovely place to go for dinner. cant fault it. Amazing food, fresh and tasty! The staff here are lovely and the food is great. I didn’t know the set menu would be the only menu available on Valentine’s Day and It sort of ruined our dinner because my partner and I were not prepared to pay £30 each and I was really looking forward to some of the normal menu items! Please advertise more next time that the normal menu will not be available. On another note, my partner wasn’t fond of his pizza, but my food was okay, however it is not worth the £30 we paid per person. Usually when we go out for dinner, we pay around £10-15 each. Also, we asked for a few more minutes to browse the menu but the server we had, although she seemed very nice, wasn’t allowing us to look through the menu any longer and we felt very pressured to order when we were not ready. Came for dinner with my wife to celebrate my birthday. 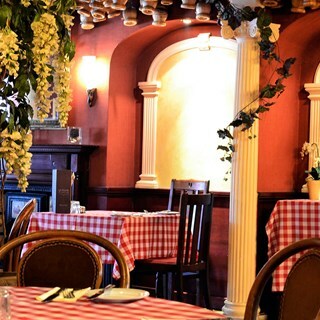 The food was excellent and when we next visit Bournemouth we will definitely be returning to La Piccola Italia. Pizza was beautiful - lovely thin, crispy base. Sirloin steak delish, and no fat at all on it. Waiting staff were pleasant & made me feel at home - thanks. A smile goes a long way. I can see why this place is popular, it's a little gem. Great service, we even brought the meal forward an hour and you managed to accomodate us with a table for 5. Lovely place to go! Good ambience and super friendly service (Waitress Gaia is an absolute gem). Food is excellent. Will visit again next time we’re in Bournemouth. For the very first time, after coming to this restaurant for many years, all four of us were extremely disappointed with the food. Booked the restaurant for a first date on the recommendation on a friend, and honestly the staff went above and beyond all of my expectations. The service was warm and friendly, and the staff even got out a candle for us when I asked if they could pop one on the table 'cos I thought it would make the whole thing a little more romantic - nothing was too much for them. The food was excellent, and the portion sizes incredibly good value for money - neither one of us could manage dessert afterwards, but still ordered hot chocolates as the atmosphere in the restaurant was superb: warm, cosy and relaxed. I couldn't recommend this place enough. We both had a fantastic evening, and I am very grateful to the staff for their discretion and professionalism. 5 stars, all very well earned!